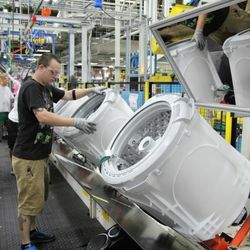 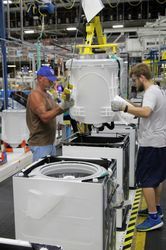 LOUISVILLE, Ky. —August 18, 2015—GE (NYSE: GE) announced today an investment of $100-plus million in a new topload washer design and expanded manufacturing capability at its laundry plant in Louisville. 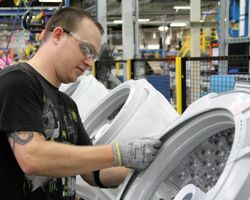 This marks the largest laundry launch for GE in 20 years and is another example of the company’s continued commitment to U.S. manufacturing. 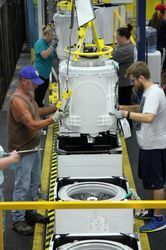 Team member Brad Tingle secures the tub cover on the new GE topload washers made in Louisville, Kentucky. 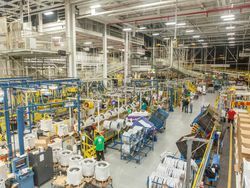 The Louisville factory was redesigned using Lean manufacturing principles. 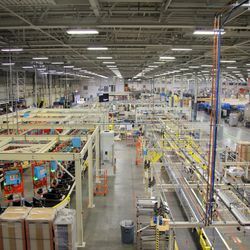 From the ergonomically designed employee workstations to the minimal times parts are handled throughout the process, the revamped manufacturing space is one of GE Appliances most efficient ever. 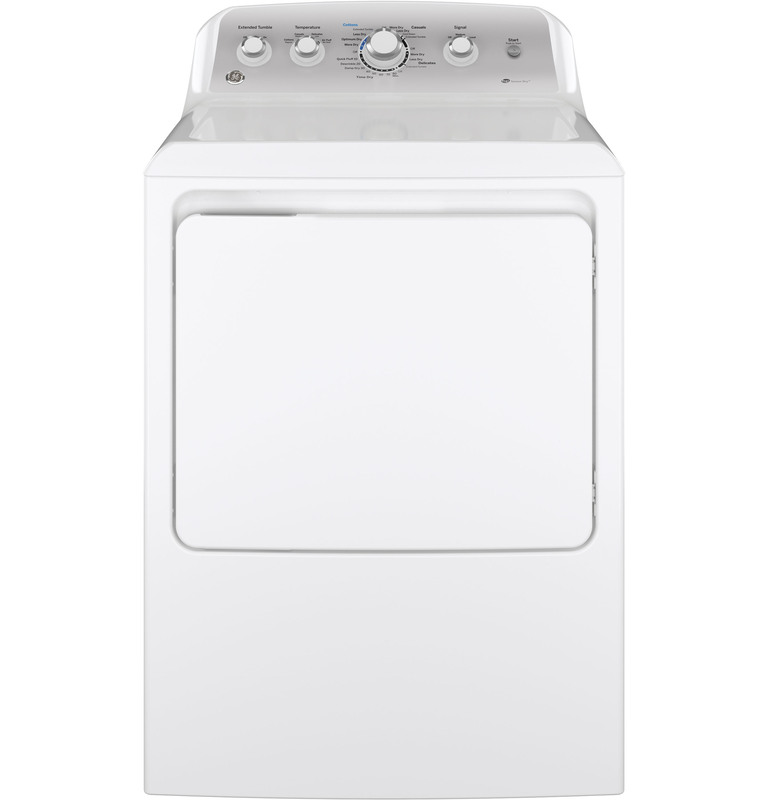 While it may remind you of your mom’s washer, GE has enhanced its traditional agitator washers to give consumers more control over their cycles while improving energy efficiency, technology and machine aesthetics. 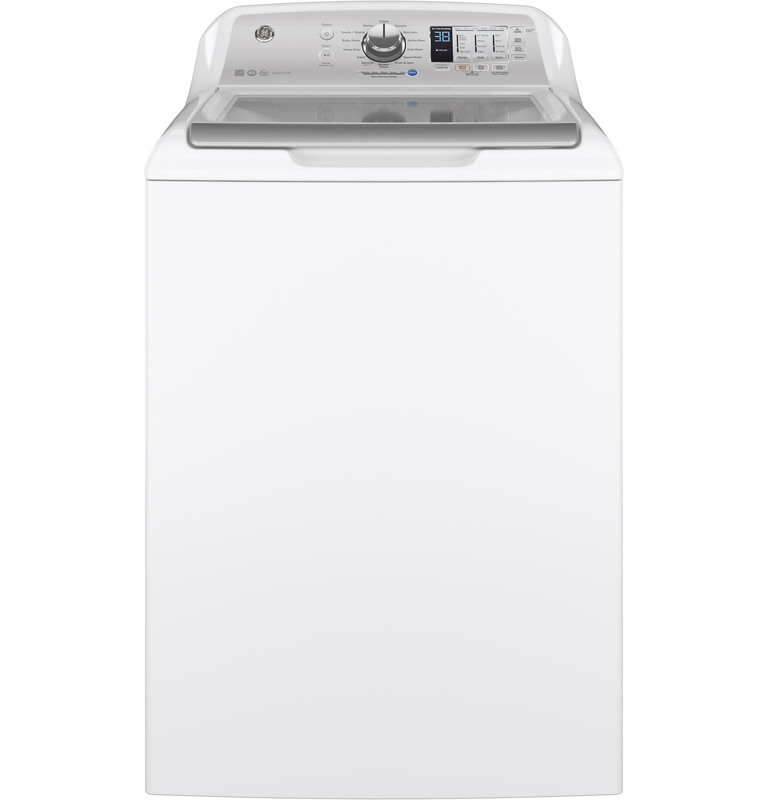 The new washer boasts the largest ENERGY STAR®-rated model with an agitator on the market at 4.2 cu. 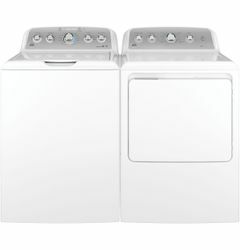 ft., offering a unique combination of capacity and efficiency. 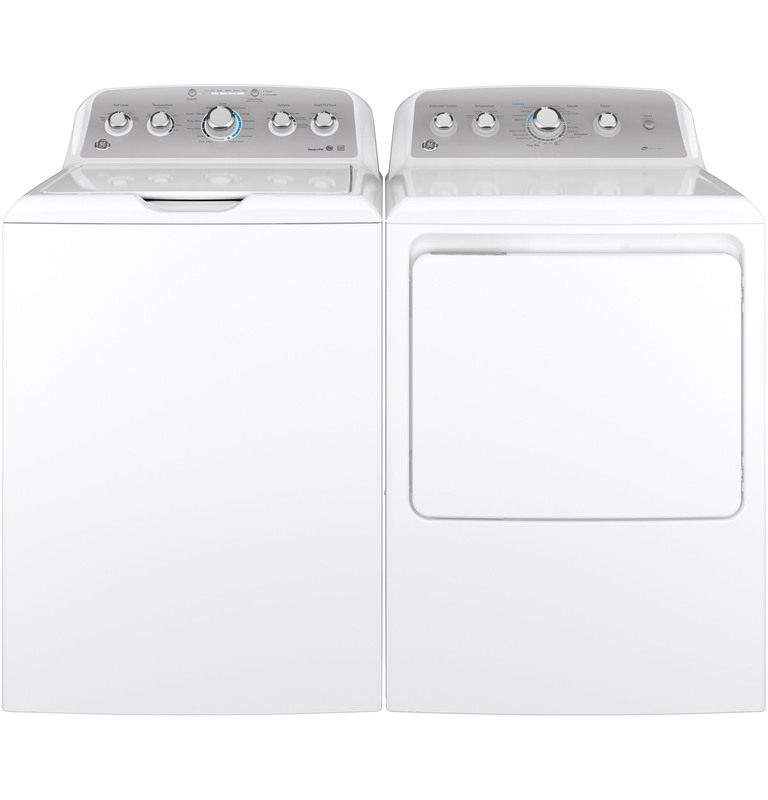 The washer boasts high-performance settings and specialty cycles to treat stains and help consumers clean their dirtiest clothes. 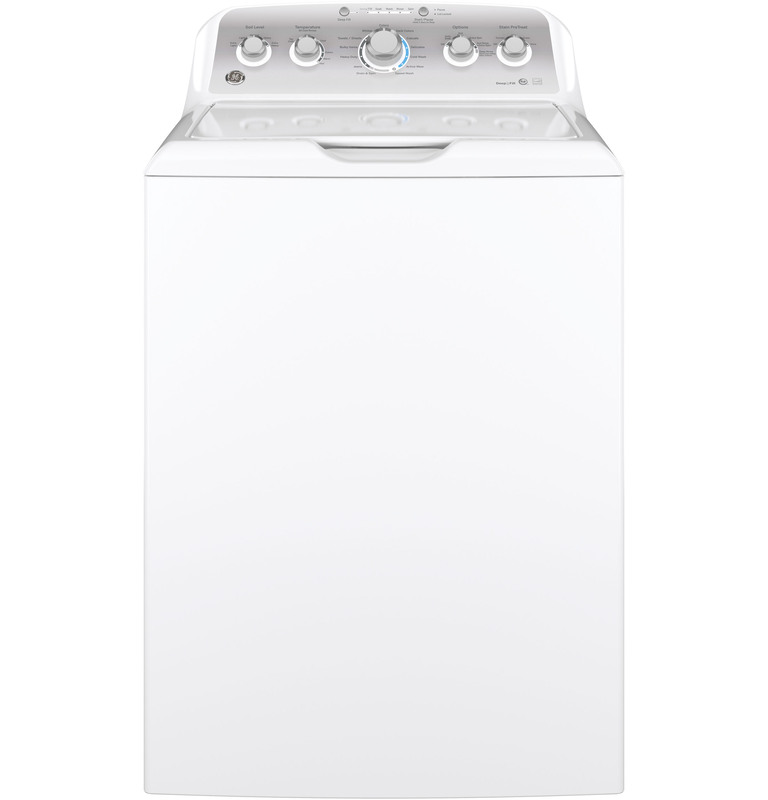 The new GE washers offer water flexibility while maintaining energy efficiency standards. 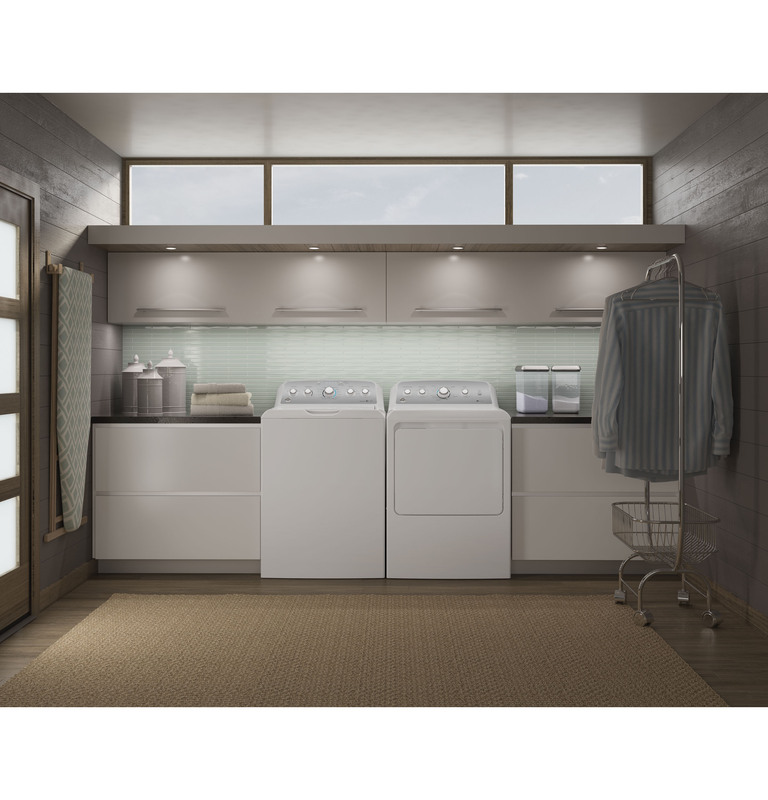 Consumers can choose Extra Rinse or Deep Fill options for particularly tough loads, or use Precise Fill technology to fill with the right amount of water for typical washing. GE’s new non-agitator topload washer GTW680BSJ features 4.6 cu. ft of capacity. GE’s GTW485ASJ model washer boasts the largest and only ENERGY STAR®-rated agitator on the market, offering a unique combination of capacity and efficiency. 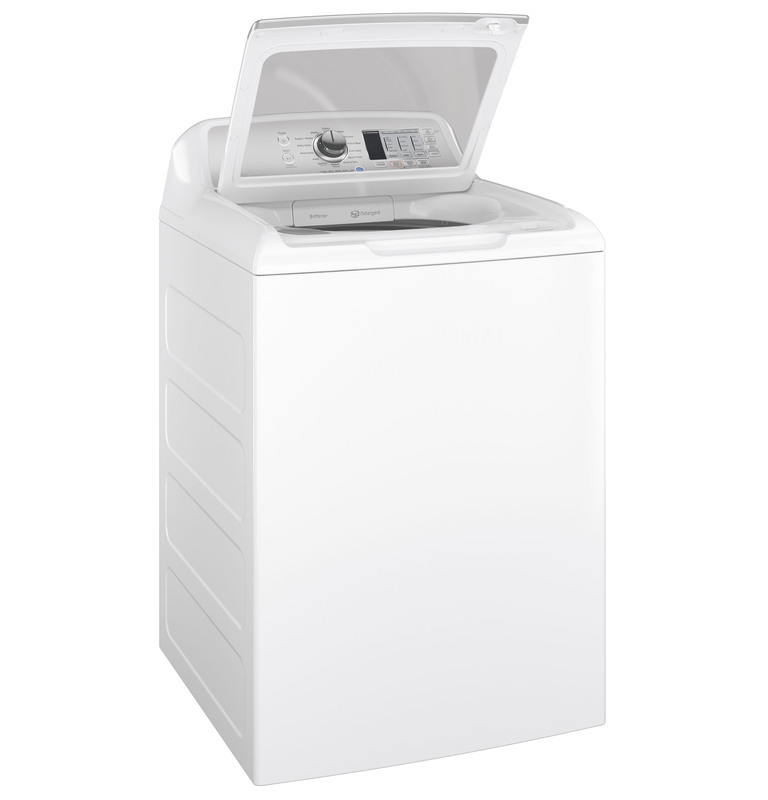 With the largest agitator capacity on the market at 4.2 cu. ft, along with modified cycles and easy one-touch settings, laundry has never been more convenient. John Deaton and Justin Gullo secure the tubs in the new GE topload washers made in Louisville, Kentucky. 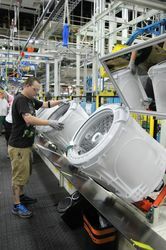 Team members John Deaton and Justin Gullo work together to build GE's newest top load washers in Louisville, Kentucky.